NON-MEMBERS ARE ALWAYS WELCOME but If you become a member – you and a guest can see each of these films for only £5 each (usual price £8 each), plus a drinks loyalty card and other benefits! All films are screened subject to BBFC film classification. 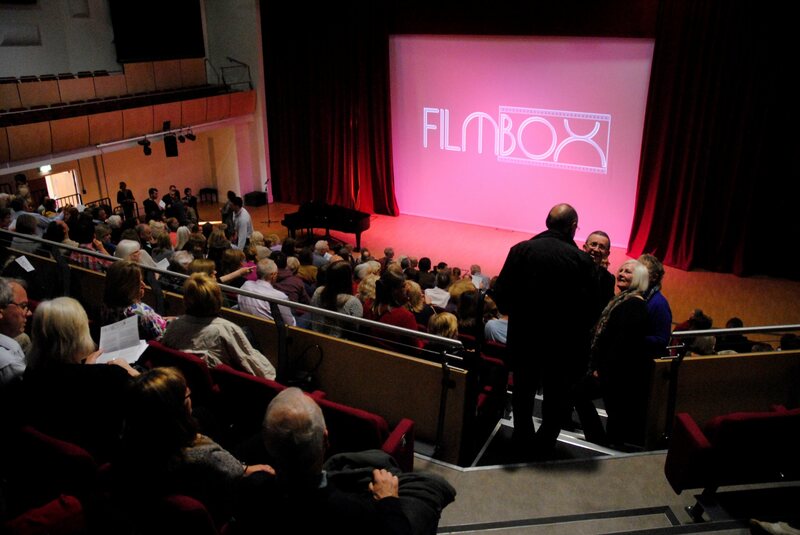 Our box office with details of dates, times & prices is here: https://www.ticketsource.co.uk/filmbox which includes a link to buy membership online! Only £25 if you come and buy at an event, or £28 online (to allow for site commission). Special New Year offer – non-members can see When Harry Met Sally for only £5 each (usually £8). If you become a member, you can see this film for only £2 each and enjoy a free welcome drink and canapés at our members’ social before the film. Winner of FIVE Oscars in 1976 – One Flew Over the Cuckoo’s Nest stars Jack Nicholson in an unforgettable role supported by a superb ensemble cast, including Danny De Vito, Christopher Lloyd, Louise Fletcher and Brad Dourif. Immensely moving and joyously funny by turns, ‘Cuckoo’s Nest’ is a most memorable experience and rarely seen on the big screen – don’t miss it! “The first movie since Frank Capra’s ‘It Happened One Night’ to sweep the big five Oscars (director, screenplay, actor, actress, film), ‘Cuckoo’s Nest’ remains an unlikely and inspiring triumph. The dream-like novel was considered unfilmable, the co-producer was a TV actor with a famous dad, the Czech director was still largely unknown outside Europe and every ‘name’ actress in Hollywood had turned down the role of callous Nurse Ratched. And yet, as soon as Jack Nicholson signed on the dotted line, everything fell into place. THURSDAY 2 JULY 2015 – ONE FLEW OVER THE CUCKOO’S NEST (Milos Forman, USA, 1975, 133 mins, Cert 18). Bar open 6.40pm, film programme from 7.30pm. Winner of SIX BAFTAs and FOUR Oscars – Birdman: Or (The Unexpected Virtue of Ignorance) stars Michael Keaton in a barn-storming role with superb ensemble support from Emma Stone, Ed Norton, Lindsay Duncan, Naomi Watts and Zach Galifianakis. A black comedy, Birdman is about a washed-up actor, who once played an iconic superhero, who battles his ego and attempts to recover his family, his career and himself in the days leading up to the opening of his Broadway play. 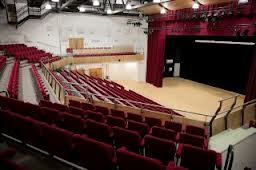 Book tickets below – £8/£5 – no booking fees. Bar opens 6.40pm, film programme from 7.30pm. Wednesday 3 June 2015 – Winner of Sundance Film Festival & THREE Oscars – WHIPLASH. BETTER ON THE BIG SCREEN! Tickets £8/£5. Bar opens 6.40pm and film programme starts 7.30pm with a brief live display of group and solo drumming in our magnificent Performance Hall. Booking & trailer links below. WHIPLASH also features a superb original soundtrack of modern jazz composed by Justin Hurwitz & Tim Simonec – including classics by Duke Ellington & Stan Getz. “There are no two words in the English language more harmful than ‘good job’.” Terence Fletcher (JK Simmons) in WHIPLASH. The road to greatness can take you to the edge. Wednesday 3 June 2015 – Sundance Film Festival winner & winner of THREE Oscars. WHIPLASH. BETTER ON THE BIG SCREEN! Tickets £8/£5. Bar opens 6.40pm and film programme starts 7.30pm with a brief live display of drumming in our magnificent Performance Hall. Booking & trailer links below. Wednesday 3 June 2015 – Sundance Film Festival winner – WHIPLASH. BETTER ON THE BIG SCREEN! Tickets £8/£5. Bar opens 6.40pm and film programme starts 7.30pm with a brief live display of group and solo drumming in our magnificent Performance Hall. Booking & trailer links below.